Pierre Boussaguet was born in Albi, France, on November 12, 1962. Interested in music at an early age, he began playing the accordion until the day he bought a record of Harry “Sweets” Edison … just because he liked the expression of one of the faces on the cover! He was filled with wonder at the music, and few months later a musician-friend took him to a Ray Bryant’s trio concert in Albi. As soon as he heard the walking bass he realized that was what he wanted to do, and he promptly started teaching himself the double-bass. After two years of studying alone, he decided to work with Mr. Jean Cros, one of the finest classical performers, who taught him the basic sound technique. In 1982 met Duke Ellington’s ex-bassist Jimmy Woode, who recognized his growing talent. “…You remind me of Ray Brown! 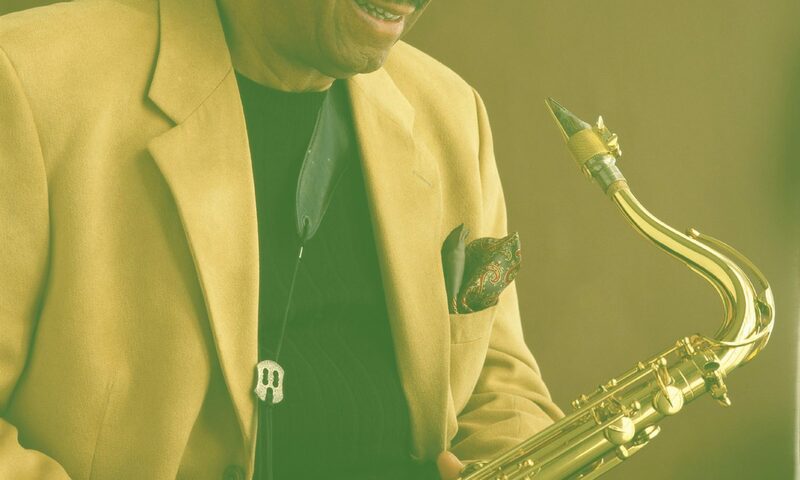 “, he said, and invited Pierre to spend a fortnight with him in Switzerland to help him get started into Jazz music.In 1985, Pierre Boussaguet went up to Paris to join tenor saxophonist Gérard Badini’s quartet and big band. Thanks to his precise tempo and great tonal resonance, he soon found his place on the Parisian scene. Two events dear to the young bassist from Albi marked 1986: first of all, Guy Lafitte noticed him during a jam session, and took him on. Pierre was the right hand of the famous Gascon saxophonist until Lafitte’s untimely death in 1998. Later the same year, thanks to pianist Marc Hemmeler, he met the legendary bassist Ray Brown, whom he had never seen play before. The two men got on well straight away, and two years later the amazing group Two Bass Hits saw the light of day. The idea was original, even audacious: more than just uniting two bassists and a pianist (Dado Moroni or Jacky Terrasson), the real challenge was to have the two basses playing simultaneously all through each piece. A remarkable album was recorded during the group’s second European tour in August 1988, praised by the critics as well as the public (TWO BASS HITS, EMP 881). A second album followed, this time for the Japanese label GML (RAY BROWN’S NEW TWO BASS HITS, GML30211). Between 1986 and 1990 Pierre worked with Monty Alexander, touring Europe and Japan with his trio, and between 1990 and 1992 he led his own quintet, which included the Belmondo brothers and Jacky Terrasson, The band recorded (with guest Tom Harrell) for the French label Jazz Aux Remparts (JAR 64002). In 1993 and 1994, Pierre continued to freelance with many of the musicians mentioned above, touring Europe, visiting the US, (briefly residing in New York), and recording with top American and European artists. In the fall of 1994 a group was formed with old time associate Jacky Terrasson and classic Jazz drummer Jimmy Cobb. Us Three received excellent reviews all throughout their European tour. In 1997 Pierre recorded with Guy Lafitte – in a duo format – the CD CROSSINGS, one of the great tenor player’s last efforts on record. In 1998 a new group saw the light: TRIO EUROPA, led by Pierre with the contributions of pianist Herve Selin and American expatriate drummer Alvin Queen. The trio’s firs recording, CHARME, was published the same year by Polygram. The list of musicians Pierre has toured, played, or recorded with is very impressive: Jimmy Rowles, Tommy Flanagan, Ray Bryant, Horace Parlan, Martial Solal, Kenny Drew, James Williams, Oliver Jones, Harry Edison, Clark Terry, Johnny Griffin, Kenny Burrell, Joe Pass, Herb Ellis, Barney Kessel, Dee Dee Bridgewater, Lavelle, Lew Tabackin, Daniel Humair, Plilippe Catherine, Alvin Queen, Mickey Roker, Ed Thigpen, Jimmy Cobb, Bud Shank, Benny Carter, Milt Jackson, Nat Adderley, Didier Lockwood, Bob Berg, Randy Brecker, Tete Montoliu and Joe Henderson. 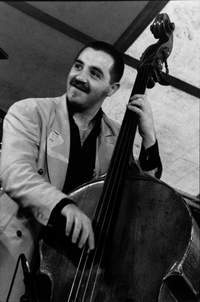 Although Ray Brown remains Pierre Boussaguet’s main influence as a bassist, he has listened to a variety of other musicians, and his playing reflects the respect he has for instrumentalists such as Paul Chambers, Scott LaFaro or Niels-Henning Ørsted Pedersen.